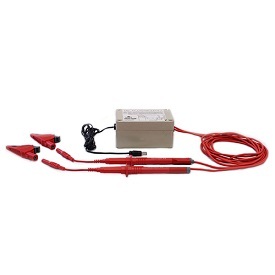 Our 15KVP voltage probe allows direct connection up to 15,000 Vrms (15KV) 3 phase power. 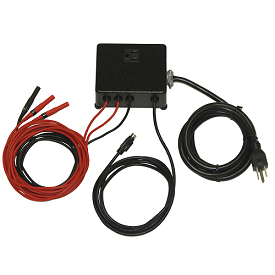 Outputs from the probes connect directly to PowerSight analyzers, allowing complete analysis of medium voltage power systems up to 15KV. 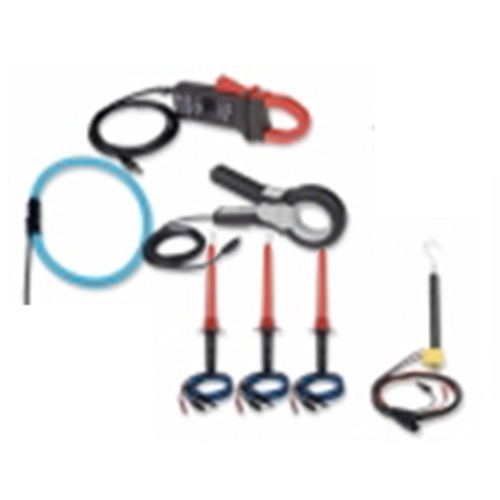 Summit Technology's model 15KVP voltage probes are capable of connecting directly to 3 phase voltages up to 15 kilovolts. Normally, professionals who wish to measure 12,470 volt lines need to locate an installed PT (potential transformer) and then connect to the low voltage output secondary of the PT. The PT ratio is entered into the PowerSight so that primary values are displayed. However, sometimes a convenient PT is not available or the measurement must bypass the PT to verify whether the metering circuit is correct. 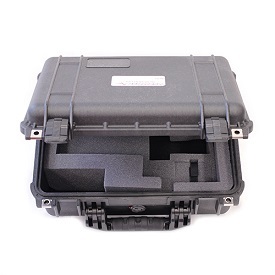 The 15KVP allows direct connection between the primary voltage and to your PowerSight analyzer. The connection to the medium voltage is via a shepherd’s hook that has a 1.4 inch inside diameter. Whenever possible, connect the probes to a de-energized circuit. First, connect the ground lead of each of the probes to a secure ground point. 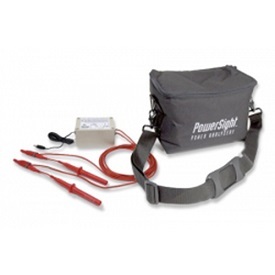 The probes are used exclusively with the PowerSight® line of Energy Analyzers, manufactured by Summit Technology Inc. Frequency Response: Attenuation of 1db from 50 to 900 Hz (i.e. measurements attenuated 11% at 900 Hz, which is 15th harmonic at 60Hz or 18th harmonic at 50Hz). Probe Dimensions: 16.5 inches long by 1.25 inch diameter. Hook at top has 2 inch outside diameter. Threaded coupling at bottom is 5/8 inch coarse thread. Shepherd’s Hook Dimensions: connection hook at the top has 1.4 inch inside diameter. It may be replaced with a custom connection item by unscrewing and replacing with a custom accessory with ¼ - 20 threaded male coupling. Scale: For direct reading of actual voltage, set meter for 60:1 input ratio.